Did you know one person can save up to eight lives and enhance 75 others through organ, eye and tissue donations? Hi this is Jody Jo. More than 120,000 American’s are currently waiting for an organ transplant, nearly 22,000 live in California. 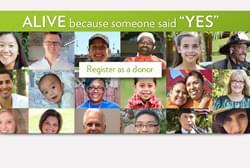 Anyone can become a donor regardless of age, medical history or ethnicity. If you are under the age of eighteen, your parents or legal guardian can authorize you to become an organ donor. You can express to your family your wish to donate, and they can give their consent knowing that it’s what you want. Children, too, are in need of organ transplants and they usually need organs smaller than those an adult can provide. There is also living organ donation in which 1 or part of 3 different organs can be donated by a donor that is still living. On average 150 people are added to the nation’s’ organ transplant waiting list each day. That’s one every 10 minutes. 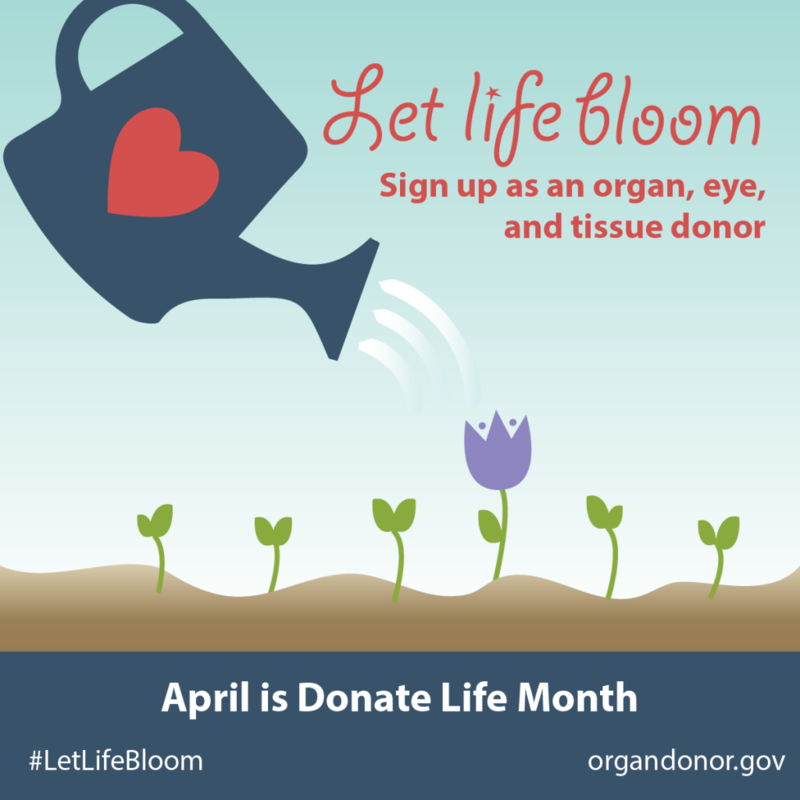 April is National Donate Life month and it is the perfect time to learn more about the life-saving gift of organ and tissue donation, and to considering registering to be a donor. Last year, Kaweah Delta was among a select group of hospitals nationwide recognized for promoting enrollment in state organ donor registries in a national campaign sponsored by the U.S. Department of Health and Human Services’ Health Resources and Services Administration (HRSA). The campaign has added more than 400,000 donor enrollments to state registries nationwide. 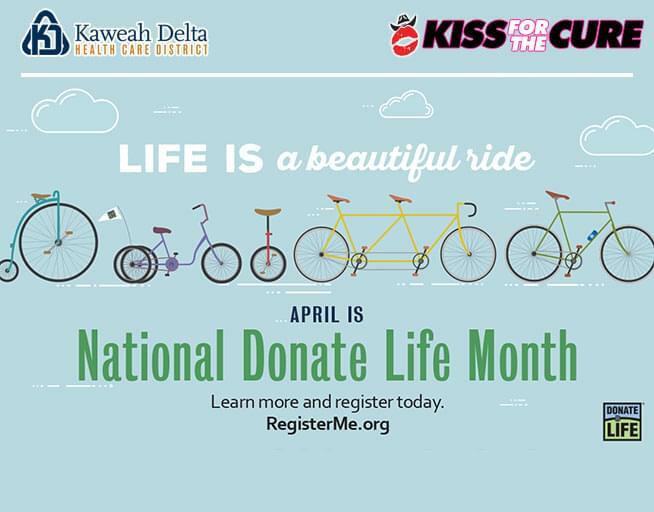 Kaweah Delta conducted awareness and registry campaigns to educate staff, patients, visitors, and community members about the critical need for organ, eye, and tissue donors and, by doing so, increased the number of potential donors on the state’s donor registry. The hospital earned points for each activity implemented between October 2016 and April 2017 and was awarded platinum recognition through the HRSA Workplace Partnership for Life Hospital Campaign. Join us this April and consider registering to give the ultimate gift, life. More than 120,000 Americans are currently waiting for an organ transplant, nearly 22,000 live in California. An organ transplant is their only remaining medical option. Approximately 81 organ transplants take place every day in the United States, that’s more than 29,000 people who begin new lives a year! 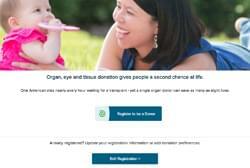 *Source: Donate Life California, Fast Facts About Organ Donation. Myth: If I am registered as an organ donor, the hospital staff won’t work as hard to save my life. Truth: It is only after every attempt has been made to save a patient’s life, and death has been declared, that the donation process begins. The doctors who work to save the patient’s life are not the same doctors involved in the recovery and transplantation of donated organs. Only if the patient is medically suitable to donate and after the family has been informed of the patient’s imminent death, is the opportunity to donate discussed with the family. After the family has been presented with documentation of the patient’s donor designation – which legally grants authorization to recover organs and/or tissues – or in cases where there is no registration or donor card present, and the family grants authorization, does the process move forward. Truth: There is no cost to the donor’s family for organ, eye and tissue donation. All costs related to donation are paid by the organ procurement organization (OPO). Expenses related to saving the individual’s life and funeral costs remain the responsibility of the donor’s family. Myth: I am too old (or too young) to donate. Truth: There is no age limit for organ and tissue donation. Anyone can register at any time (must be at least 13 to register online), although the final decision is that of the legal guardian(s) until age 18. Conversely, no one should rule themselves out because they are “too old”. There has been a 93-year-old kidney donor and a 99-year-old cornea donor! Myth: My health is not very good. Nobody would want my organs or tissues. Truth: Anyone can be considered for organ and tissue donation. At the time of death, medical professionals will determine a person’s eligibility to become an organ and/or tissue donor. Eighty-five percent of all people will be able to donate life-enhancing tissue, which includes skin, corneas, heart valves, tendons, ligaments, bone and more. Even cancer patients or those positive for hepatitis can potentially donate, and there are cases of donors in their late nineties. Truth: Checking “YES!” to donation on your driver license application or renewal form indicates your consent for all organs, eyes and tissues, for transplant and research. If you would like to specify which organs and tissues you would like to donate, or if you change your mind about donation, you can make changes via the Donate Life California website. Myth: Celebrities and wealthy people on the waiting list receive priority for receiving an organ. Truth: To be placed on the national organ transplant waiting list, medical data must be presented documenting the individual’s need for a transplant. Organs are then allocated to those on the national waiting list according to medical need, blood and tissue type, height and weight. Celebrity status and wealth are not considered. ORGANS THAT CAN BE DONATED: Lungs, Heart, Liver, Pancreas, Kidneys, Intestines. TISSUES THAT CAN BE DONATED: Cornea, Whole Eye, Skin, Heart Valves, Veins, Upper Body Bones, Bones and Connective Tissues.